On Friday we hosted a multi-schools event in partnership with Bloomsbury Children’s Books to celebrate the release of the latest book in the popular Kid Normal series by Greg James and Chris Smith. Pupils across Hastings came together at a special event with the book’s authors Greg and Chris as part of the Get Hastings Reading campaign. 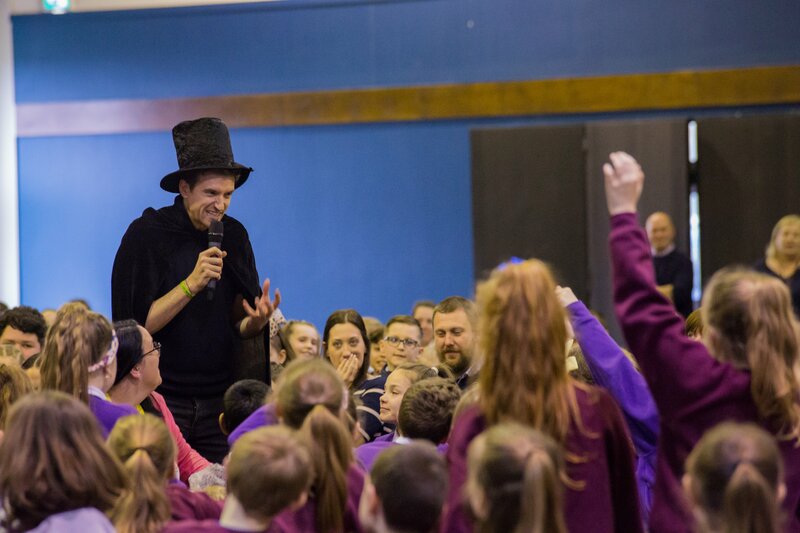 Up to 600 lucky pupils from 15 Hastings primary schools were treated to a high-energy, interactive presentation to launch the third Kid Normal book, Kid Normal and the Shadow Machine, at The Hastings Centre on Friday 22 March. 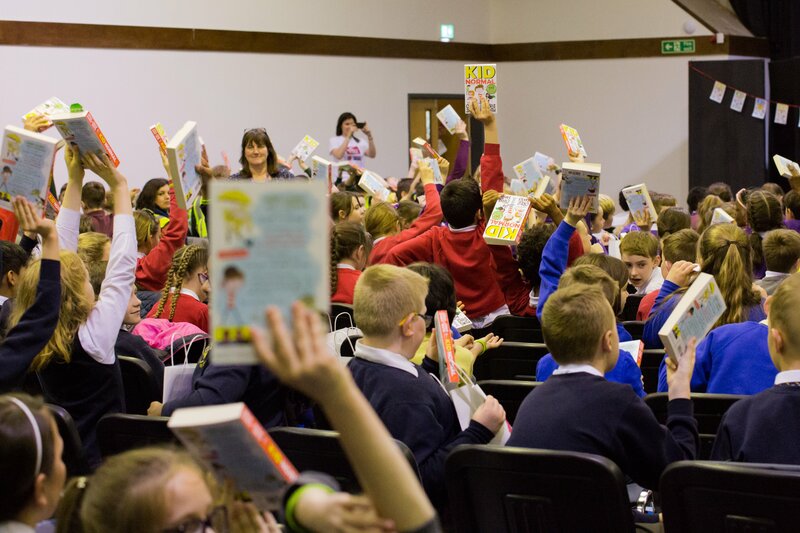 All schools in attendance received a copy of the first Kid Normal book to read together in class and every child who came along took home a signed copy of their own Kid Normal in a Get Hastings Reading goodie bag. 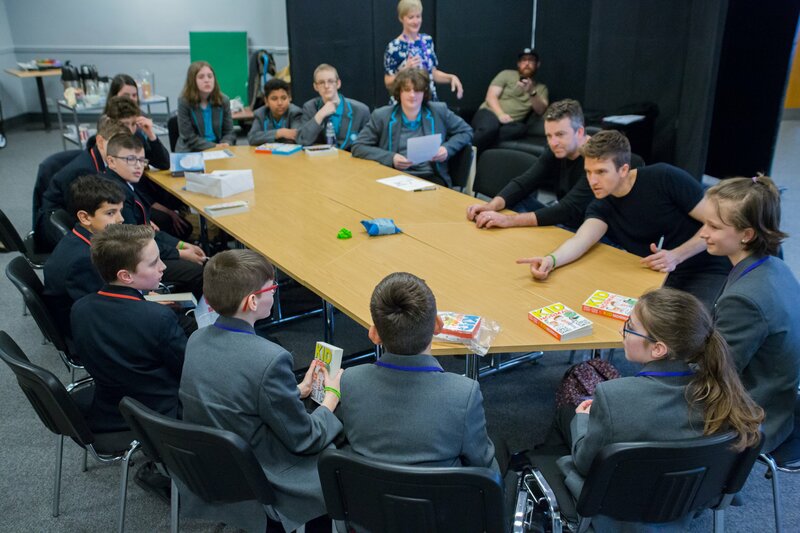 A select number of Hastings secondary school pupils met with Greg and Chris for an exclusive interview session, where they put their questions on writing, broadcasting and books to the authors. Children throughout the town were also invited to meet Greg and Chris at a book-signing event in the Hastings WHSmith store. Those who attended the book launch were gifted a green branded wristband, enabling them to receive a special in-store discount on the day when purchasing the second and third Kid Normal stories - Kid Normal and the Rogue Heroes and Kid Normal and the Shadow Machine. 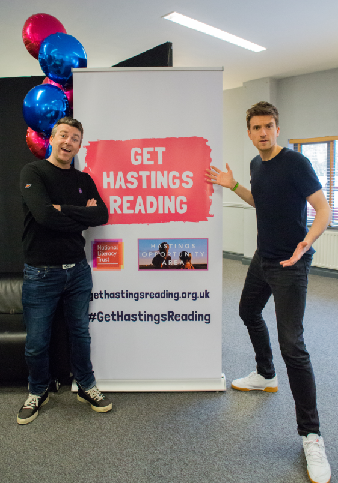 “We were thrilled that so many pupils in Hastings had the opportunity to experience such an exciting event with Greg James and Chris Smith - two brilliant authors who share our commitment to encouraging children to fall in love with reading. "It's been a real treat for Hastings to welcome Greg and Chris and a very exciting day for lots of young readers in our town. 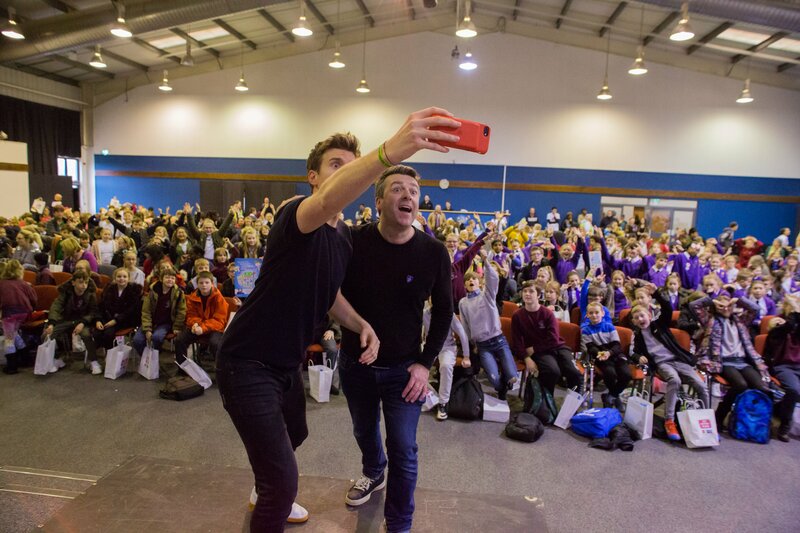 Moments like this are very important for inspiring students for a lifetime of literacy, creativity and adventure, and we're very pleased to see the National Literacy Trust making such a big impact so quickly." 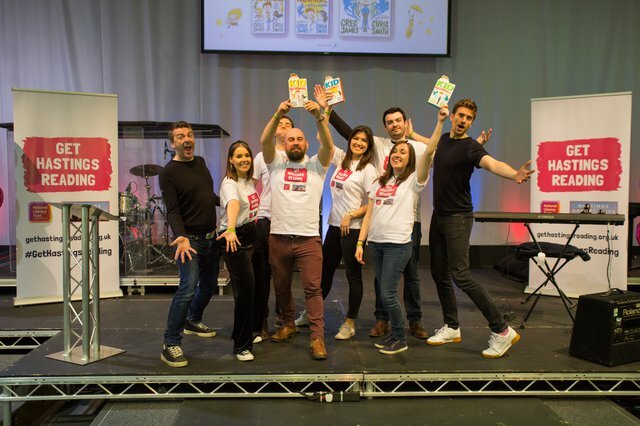 Get Hastings Reading is a literacy campaign led by the National Literacy Trust and the Department for Education’s Opportunity Area in Hastings, which places education at the heart of overcoming obstacles to social mobility. 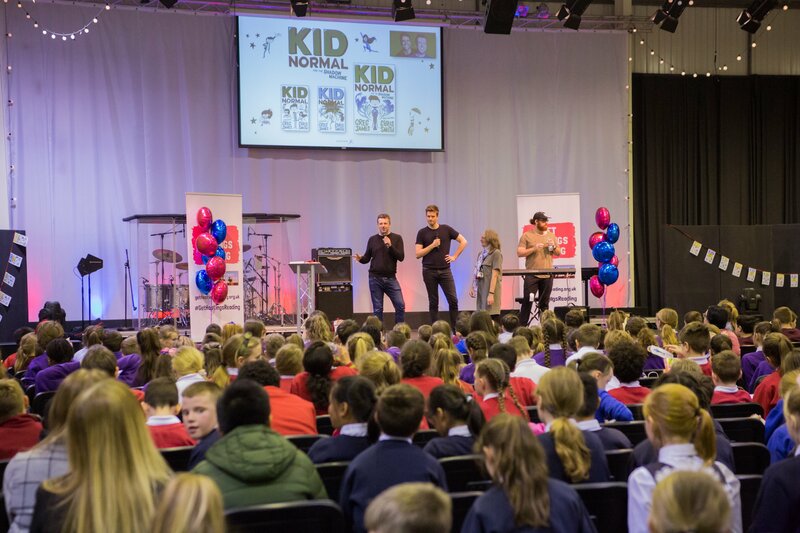 The campaign launched in January with the aim of improving literacy for young people in Hastings and St Leonards. If you are interested in volunteering in Hastings or learning more about the campaign, please contact Hub Manager, Graeme Quinnell. Take a look at our images from the day.